Just updated. What are the changes? To unsubscribe from Help / Support / Questions, click here. I'm not sure what the action was that I did, but maybe offer a warning if you are changing more than a certain amount of songs or a way to disable whatever it was that I did. And one possible bug. I have one of the libraries I access over the network as the root folder of that drive. 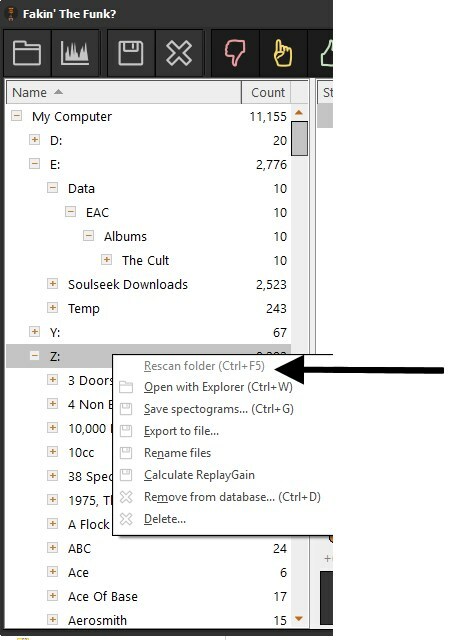 When I am at the root of the drive I can't select "Rescan Folder". Fakin The Funk wants me to be on a folder in order to choose that option. Is there a work around for this?